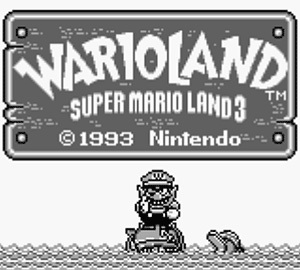 The random number generator has determined that the next game I should write about is Wario Land: Super Mario Land 3. 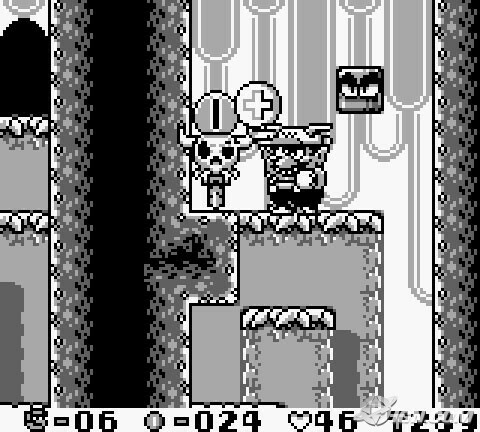 Wario Land is an interesting game in that it continued an existing series by transforming it. 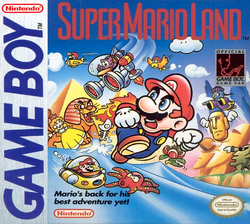 It is the last game in the Mario Land series as well as the first in the Wario Land one. You play as Wario, who was the main antagonist in the previous game, Super Mario Land 2. 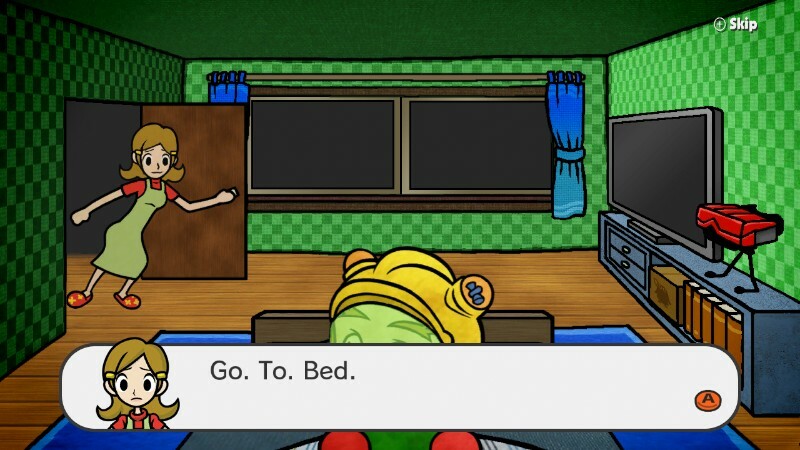 I bought this game from the 3DS Nintendo eshop when I was bored, along with Mario Land 1, Wario Land 2 and Wario Land 3. I already had Mario Land 2 from an eshop sale. After finishing Mario Land 2, PAX East 2014 happened. I didn’t have a Ticket for the Friday, but I did meet my friend Absol from the Internet outside the venue that day. I then sat for a few hours and streetpassed with people who were in line to get in. This campaign finally ended when my 3DS ran out of battery power and I decided to take the train home. When I got home, I was experiencing gaming withdrawal. 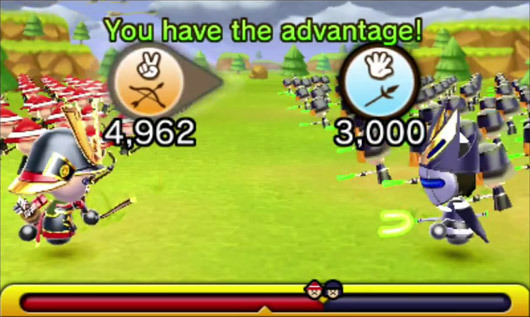 Though it was true that I had been playing the Mii Plaza games Puzzle Swap and Warrior’s Way, I had only played them so intently that day because PAX East presented me with an opportunity to progress faster in those games than I usually could. 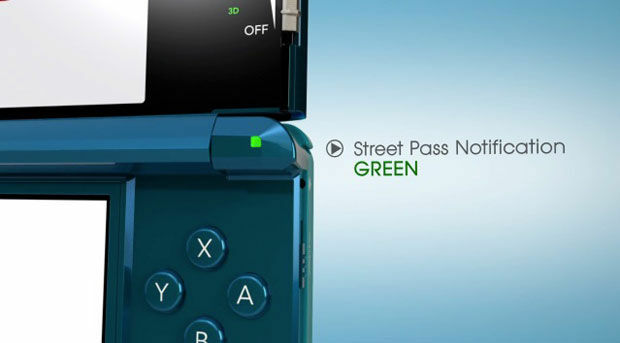 That said, you can only play the street pass games for so long before they stop being fun. 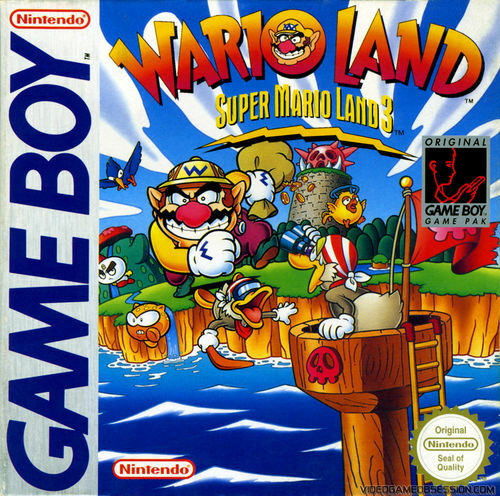 That afternoon, I played through the entirety of Super Mario Land 1 and then started Super Wario Land. “Best adventure yet”? More like “Shortest adventure yet”! 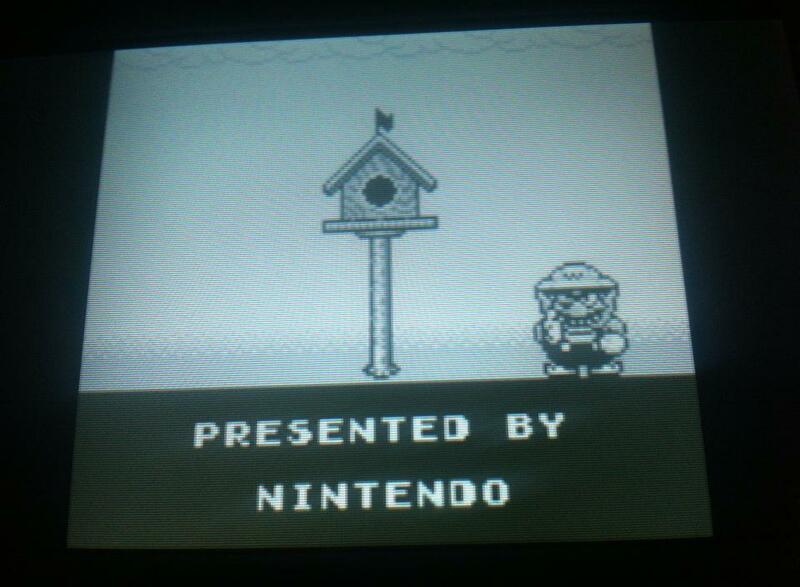 Super Wario Land is pretty easy, even without Restore Points, but I did use them for the sake of convenience. I ran into a problem early on in the game that taught me to be careful with restore points. I had accidentally created a restore point at a moment in the game when Wario was healthy, but there was no possible way to survive to the end of the level (there was a moving platform I was supposed to have jumped off of). This taught me that there are dangers to using restore points, and one should always be careful in their use. 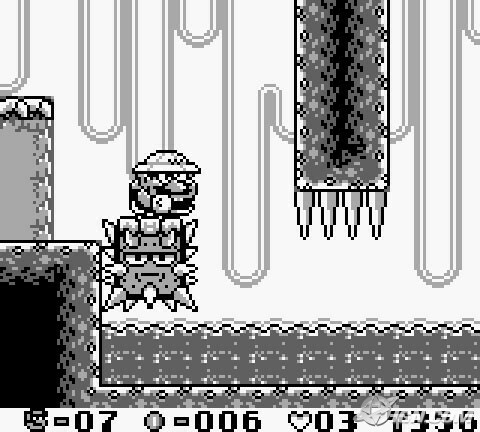 Wario Land 1 plays similarly to regular Super Mario games. Wario can obtain power ups like the Dragon, Bull or Jet to traverse levels differently or attack enemies more easily. If you get hit by an enemy, just like in Super Mario, you lose your power up, and if hit again, you become “Tiny Wario”. If Tiny Wario gets hit, it’s a death. 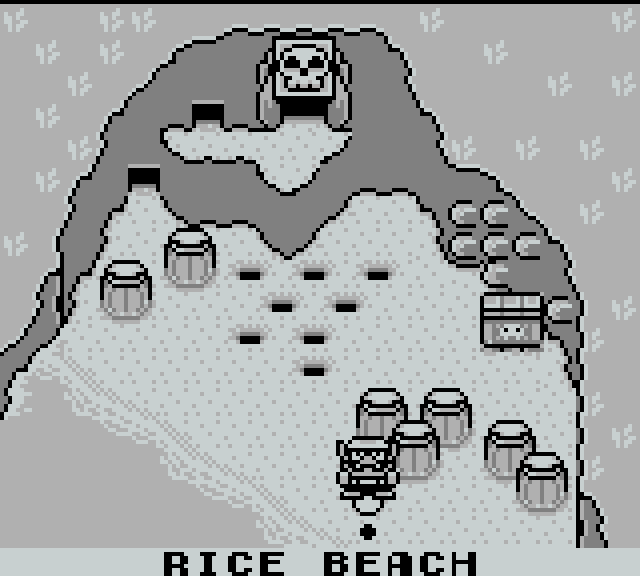 Following Wario’s defeat in Mario Land 2, Wario wants to build a new castle. To pay for it, he decides to steal treasure from pirates. He eventually duels with Captain Syrup, the leader of the pirates, and her genie. 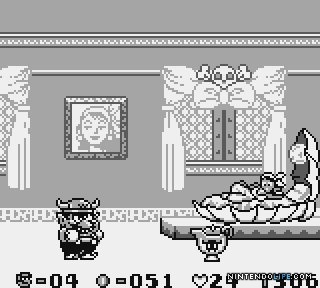 After he wins, the genie builds Wario a new castle. Depending on how well you do collecting treasure, you get ranked at the end by how big the castle is. The genie built me a birdhouse. Wario is a character defined by his flaws. In that way, he’s a much more believable character than his doppelgänger Mario. This game introduced his greed, and other games would feature his sloth and gluttony. Greed is his primary personality trait, because that’s what motivates him to get off the couch once in a while. 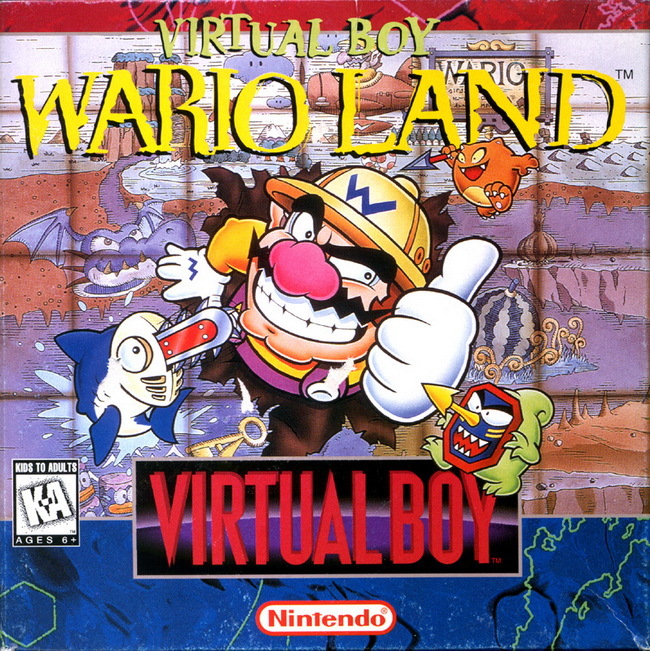 The only Wario Land game that I haven’t beaten yet is the one they made immediately after this one, which was for the Nintendo Virtual Boy gaming system. 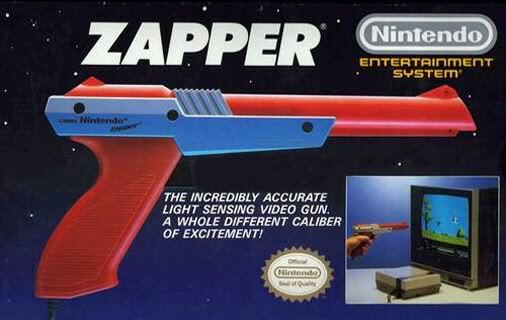 The process of writing this article incited me to bite the bullet and order a Virtual Boy gaming system online along with the Wario Land title for it. I’ll hopefully play it soon. Even 9-Volt has a Virtual Boy. I wonder if he has Wario Land. Through the process of writing this article, it can be said that my life has been slightly affected by a random number generator. Thanks for Reading! I Appreciate it! The random number generator has chosen for me to write about the first game I finished after starting this website. 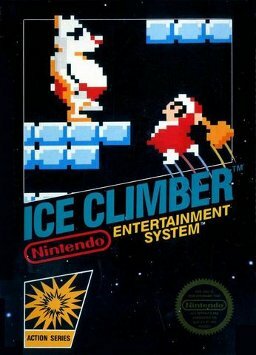 The game I finished right after I purchased Zelgerath.com was Ice Climber! 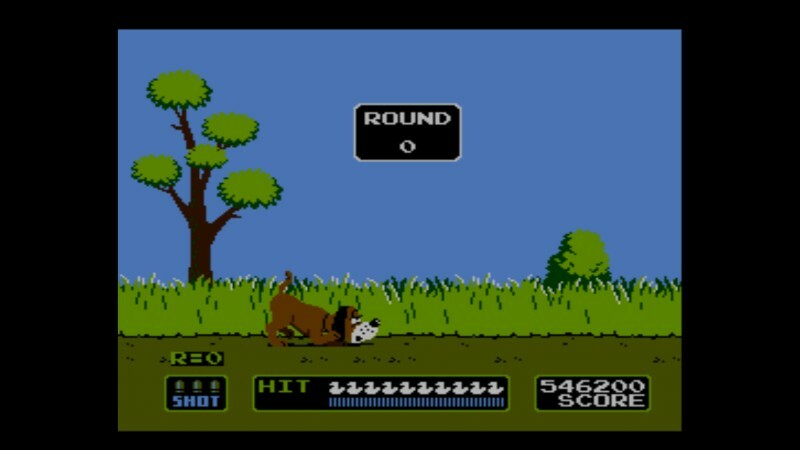 Right after “beating Duck Hunt” (See my article about the endeavor) I was in an NES Virtual Console mood. 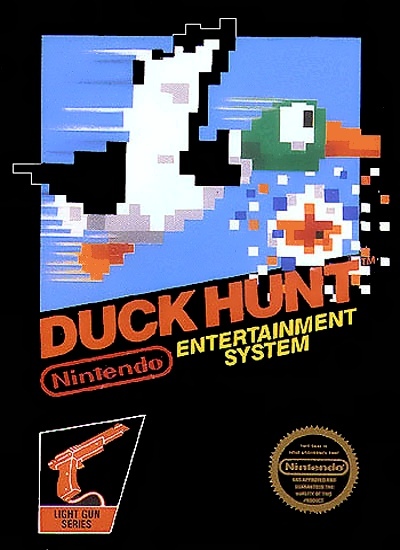 Most NES games weren’t designed to be beaten, but to go on indefinitely like an arcade game, yet I am still able to find ways of defining for myself when I have beaten a game like that. I’m also pretty lax about it; Barring the occasional exception, I’m not really into beating games to 100% completion anymore, and I also use restore points when they are available if they make a difficult task much more possible for me to overcome. I say this to note that I am not actually good at Ice Climber, but I was patient enough to struggle through the 32 mountains in the game using the Wii U Virtual Console’s restore point feature. As daunting a task as beating all of the Nintendo games might be, it’s best to think about it one character/series at a time. 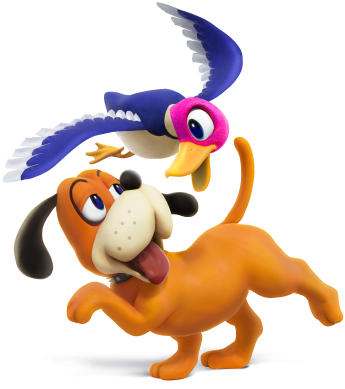 Part of why I beat Duck Hunt in such an enthusiastic rush was that Duck Hunt is the only game in its series, so when I finished the game I also finished all of the games associated with an entire fighter in Super Smash Brothers. 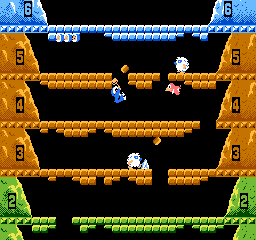 Following my Duck Hunt achievement, I remembered that the Ice Climbers were cut from the most recent version of Super Smash Brothers, so I decided that it was time to take on the entire Ice Climber series (which is only one game long) to avenge them. 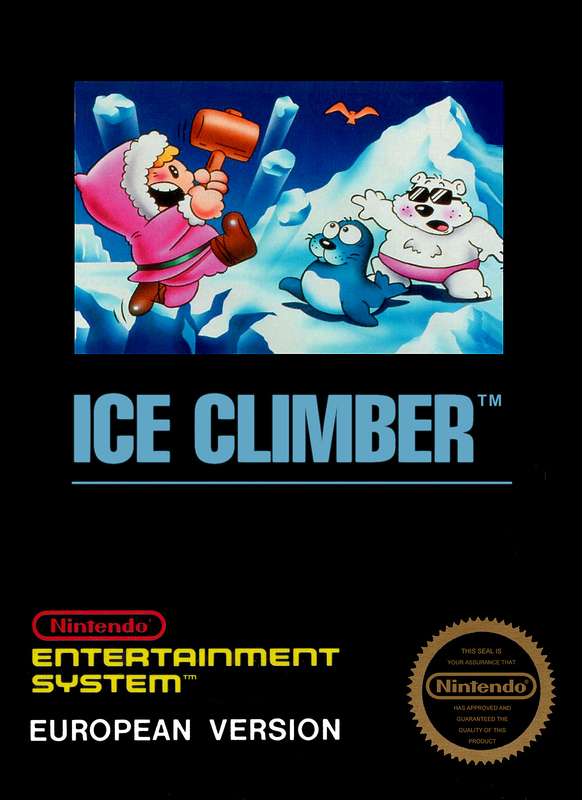 And avenge them I did… Ice Climber is essentially a vertical Mario game. 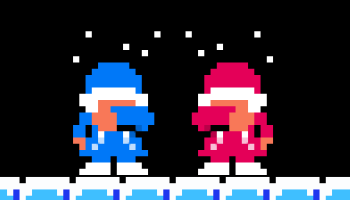 Instead of going from left to right, the Ice Climber goes from bottom to top. 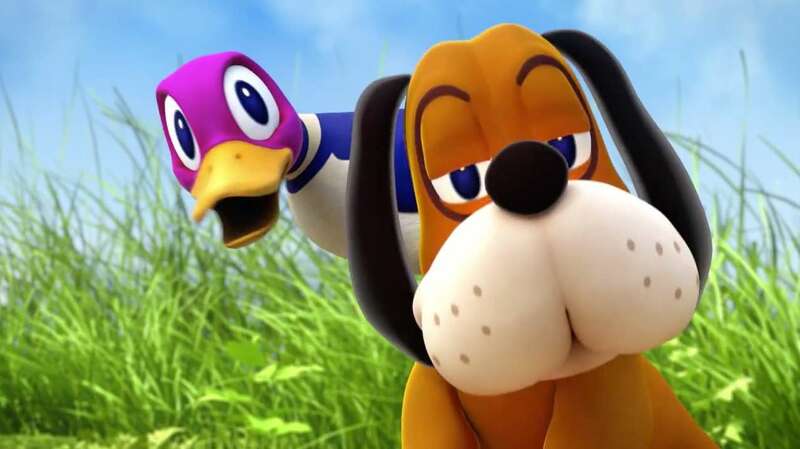 His weapon is a hammer, which helps a little bit, but most of the challenge is very precise platforming. 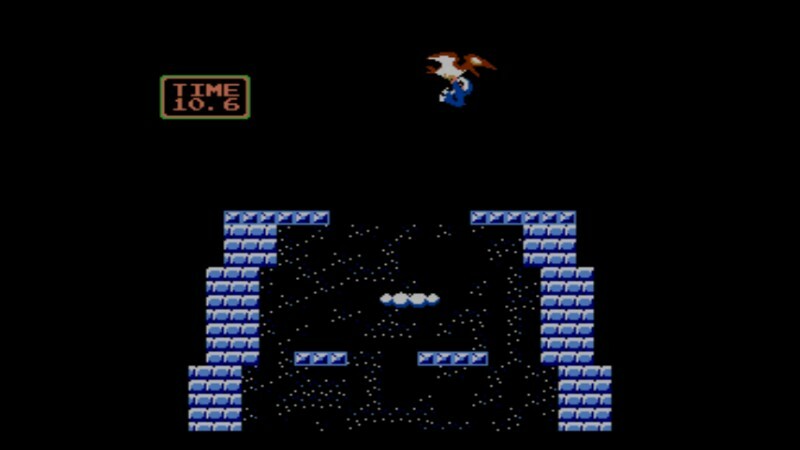 I found the platforming to be archaic and difficult; The jumping in the first Super Mario Bros. was much better. 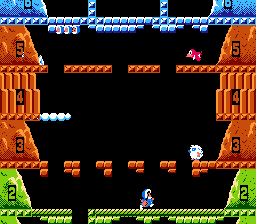 There were many times in Ice Climber when I had to jump a gap and it looked like I made it, but didn’t because the visual area of the ice climber didn’t correspond with what the game considered his location to be. 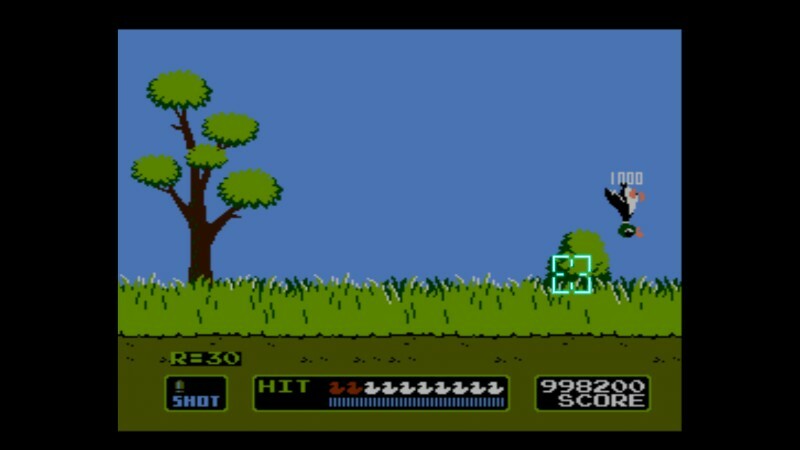 Luckily, I knew this was a problem with the game and so I used lots of restore points at moments like that and at other dangerous parts. 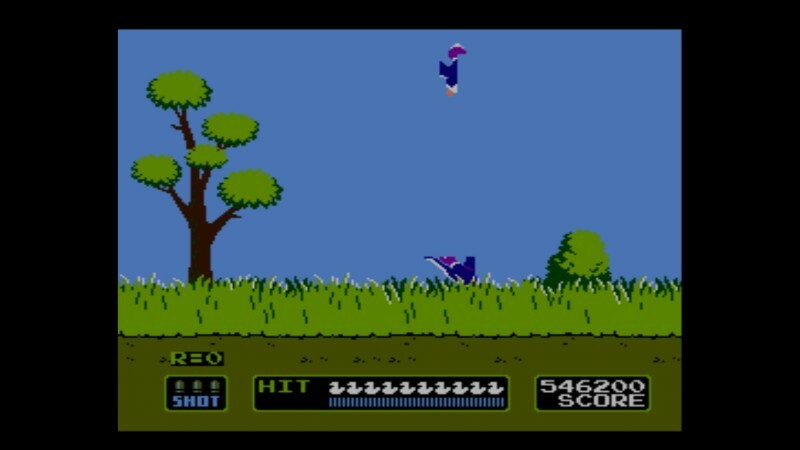 In the course of a few days, I slowly made my way to the summit of every mountain in the game, always successfully reaching the bonus Pterodactyl at the top because my use of restore points made me the master of time and space. Yes, I know. I’m a total cheater. The mountains got more and more treacherous the further I went, but after I climbed the 32nd mountain, I was brought back to the first one. 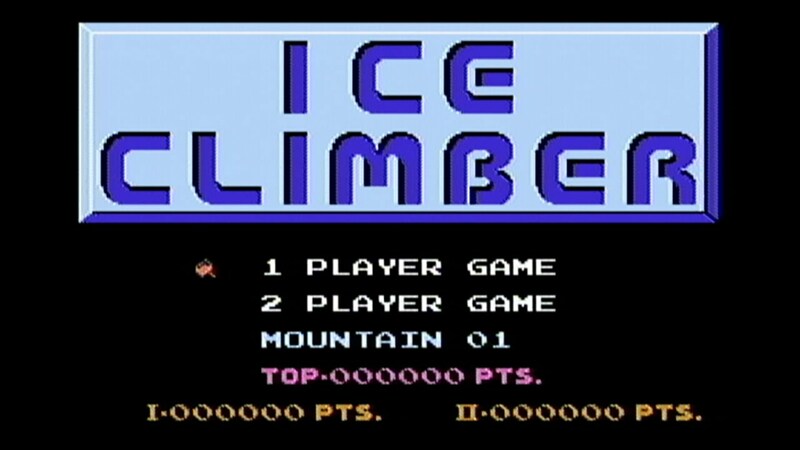 Like an arcade game, Ice Climber never ends until you get a Game Over, but I knew I was done and so added Ice Climber to my list of beaten games. 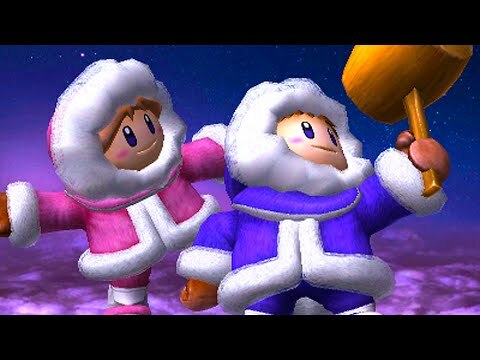 Also, concerning the Ice Climbers’ absence in the newest Super Smash Bros. game, I think that they will come back, if not as DLC then in the next installment. 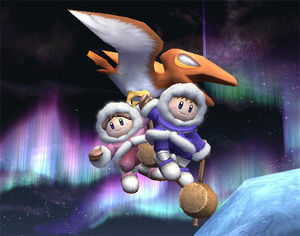 The only reason they were cut from Smash Bros. 4 is that presumably the original 3DS couldn’t handle 4 players playing as 4 different sets of Ice Climbers fighting at the same time without significant lag, which could potentially happen if players were allowed to fight as them in the game. I’m sure the Wii U could handle even 8 sets of Ice Climbers fighting, but Nintendo probably wanted the same fighters in the Wii U version to be available in the 3DS version, so they canceled their appearance this time. 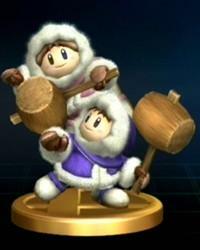 But once they bring the Ice Climbers back to Smash Bros (and they will), I’m sure they’ll also make an Ice Climbers Amiibo.